Mega-City One, 2100. This post-apocalyptic city of the future is blighted by overcrowding, poverty and misery. With each of the 400 million citizens a potential criminal, order is maintained by future lawmen known as the Judges who have the power to act as judge, jury and executioner. Toughest of them all is Judge Dredd – he is the law! 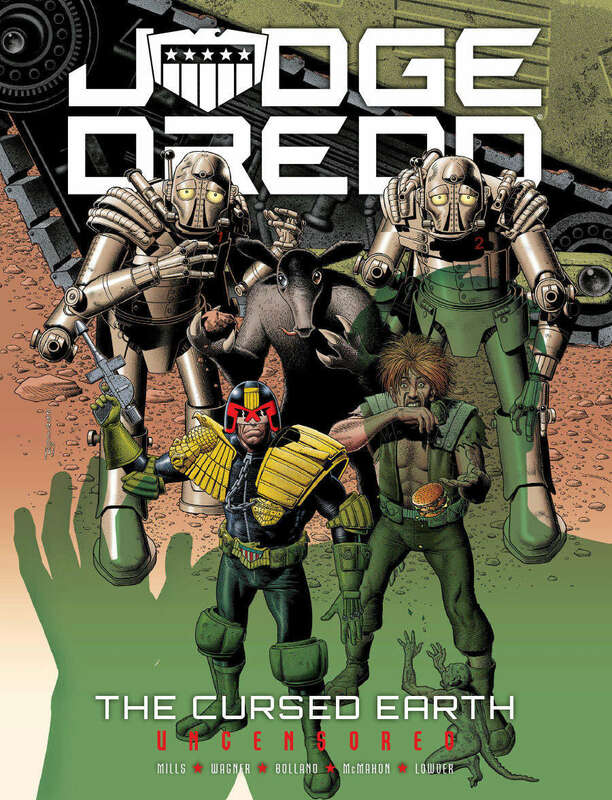 Experience the complete Cursed Earth saga, collected here for the first time – a sparkling action-packed parody from Pat Mills and John Wagner, complete with sumptuous colour spreads from Brian Bolland and Mick McMahon.